Recent Plattsburgh transplant Giovanina Bucci plays a particular kind of pop music that was all the rage at one point but has mostly disappeared from the mainstream. Think Colbie Callait and Natasha Bedingfield: laid-back, bluesy ladies singing about life and love with a hint of smugness, devoid of flavor and character. Most of the tracks on Bucci's sophomore album A Bit of Alright would fit seamlessly on a 2007 Starbucks compilation CD. If that kind of generica is your jam, you just found your favorite new album. The formula has not been altered. Bucci's voice is far and away the most appealing thing about the record. Her singing is flawless. She has the fluid precision one would expect from a finalist on NBC's "The Voice." Unfortunately, her vocal excellence far outweighs her current songwriting ability. The record is chock-full of on-the-nose rhyme schemes, tired platitudes and well-worn chord progressions. While the musicianship is tight and meticulous, with production so clean you could eat off it, the songs lack originality and, most importantly, personality. "Strolling" is one of the more inane tracks. Banal descriptions of time and place take precedence over emotional substance. For instance, Bucci opens the track with, "Strolling on down / by the late-night café / grab the newspaper / a cup of coffee." Things take a strange turn when guest vocalist Jamil McCray starts rapping, which feels completely random and doesn't help the song gain traction. "Anything But This" details Bucci's cravings for "big-city living." We can see her walking down a crowded New York City avenue, looking upward and pointing out every little thing she sees: Broadway plays, sidewalk magicians, skyscrapers, business suits — she seems to be stuck in Midtown, which at least is appropriately touristy. Unlike the first nine tracks, the final two are pretty darn great. "Going Going Gone" is a slow, bouncy, stripped-down number about loss that comes across as wholly vulnerable and honest. "Angels Have Demons Too" is even more naked. Sung entirely a cappella, with vocal harmonies from Liz Chaskey and Taylor LaValley, the song is an impactful finale to an otherwise dull album. To be clear, Bucci's talent is not in question, nor is her confidence. It's how she wields her abilities that may put off potential new listeners. 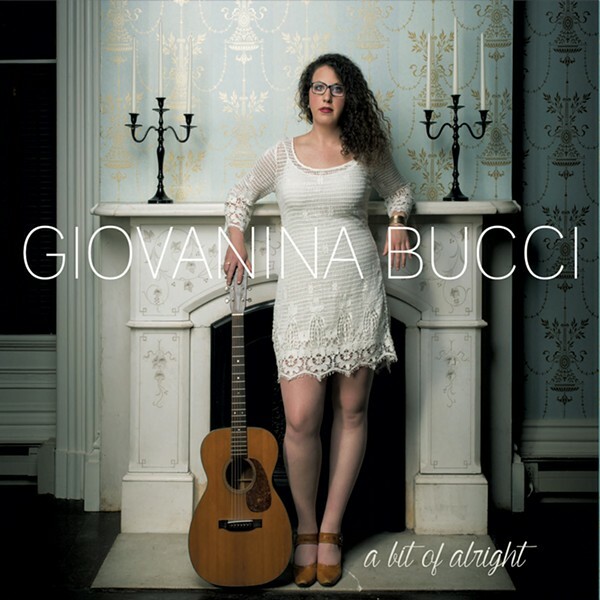 A Bit of Alright by Giovanina Bucci is available at cdbaby.com/artist/giovaninabucci. She plays Friday, October 7, at Red Square in Burlington.